4871 Rosebud Lane | Woodward Commercial Realty, Inc. Lot 18 in Woodward Commercial Realty’s Interstate Office Park development along I-164 contains a warehouse and a Class A office facility. 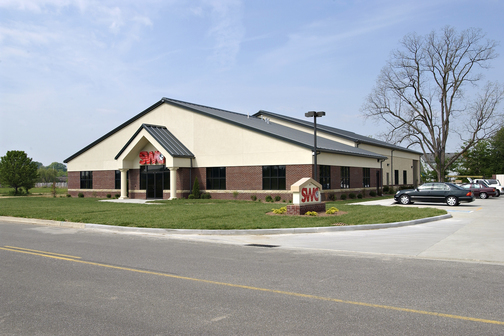 This location uses a Butler® steel building package to create an office space with an open floor plan and a clear-span warehouse. The warehouse has storage racks and an overhead door.